Here is our list of Cancun attractions that you cannot miss! Cancun will never cease to amaze and fire up your love for life. Bursting with color, flavors and aromas this paradise setting offers a taste of history, culture and vibrant modern nightlife to suit all tastes. Relax on a tropical island in a hammock and sip an exotic cocktail. Explore ancient Mayan ruins deep in the jungle. 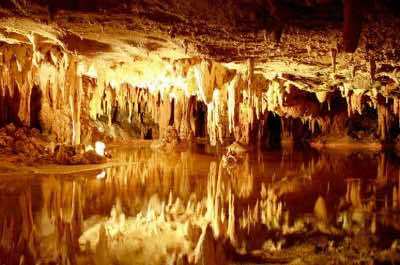 Swim in an underground cavern and discover caves filled with magnificent stalactites and stalagmites. Do some shopping at a modern mall or in a traditional market. Learn all about how Tequila is made and then dance the night away on a trajinera, decorated with thousands of flowers to celebrate a Mexican fiesta. Whoosh! Soar over the tropical canopy, adrenaline filling your veins, and warm air whipping your face before plunging into crystal clear waters below. 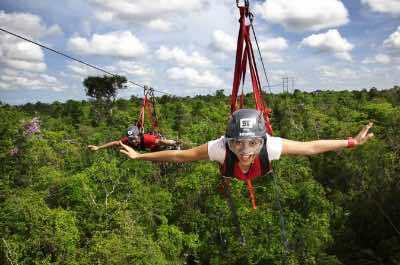 Selvatica is fantastic Cancun attraction that is perfect for those wanting to discover the non-beach part of the island. Fly from tree to tree on a series of 12-line ziplines and then brave the bungee swing dangling over the jungle. One great thing to do in Cancun is take one of the fantastic tours on offer that will have you exploring every edge of Selvatica Eco-Park. You can experience every type of extreme sport from flying on ziplines to walking on a series of seven breathtaking aerial bridges. Take a rough ride in a buggy along the trails and then swing off a heart stopping bungee Ð all on a fun packed day outing. Finally, try the Tarzania Coaster and after all the action cool off in a natural cavern called a cenote filled with crystal clear glistening waters. What a rush! This Cancun attraction will leave you in awe of the Mayan culture. 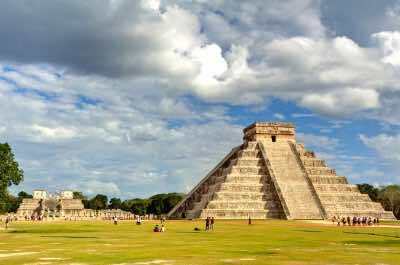 Dubbed the most important archaeological zone of the Mayan Empire capital, Yucatan, the Chichen Itza Ruin's fascinating history will have you entertained for a full day and leave you understanding why it is named as one of the modern wonders of the world. Chichen Itza comprises of extraordinary structures including the Sacred Cenote where the MayanÕs sacrificed humans to please the Gods. The best way to explore this archaeological gem is to join one of the many tours on offer with a knowledgeable local guide. Spend a full day discovering all of the historical sites on the island or, if you have limited time, take the half day tour. No matter the tour you choose you will have time to explore every inch of the ruins and spend hours marvelling at how the MayanÕs built these huge structures so many years ago. 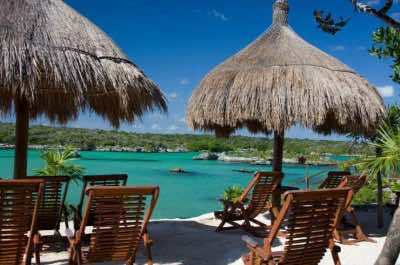 Head to the coast and visit on of the best preserved Cancun attractions, Tulum. This must-see historical site is found mounted on the edge of a cliff, towering high above the gleaming Caribbean sea. Tulum was once a walled city that the nobles, high priests and esteemed citizens called home, while the lower classes lived in wooden and thatch huts below. The buildings were lavishly decorated with paintings and carvings and some remnants remain to this day. Explore this incredible piece of architecture, particularly the main temple that was used to praise the Diving God. 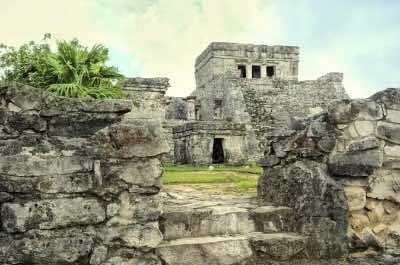 Take one of the tours of the Tulum Ruins with a professional archaeologist who can answer all your questions. You can also combine the tour with a visit to an awesome underground river where you can swim in crystal clear waters inside the caves. Explore one of the most fantastic Cancun attractions that will leave you feeling as if you have just spent a day in pure paradise. The incredibly special thing about Cenote Ik Kil is that, unlike most cenotes that are underground, this one is completely open to the sky. Filled with crystal blue waters, it is not hard to see why this gem has been named the Sacred Blue Cenote. Climb down the man-made stairs and dip your toes into the cool water, flecked with sunlight. Take the plunge and kick off from the cenote wall for a glorious dive and swim. Vines hang down the walls of the cenote creating spectacular waterfalls 85 feet in height. Enjoy a natural massage as the water cascades over your neck and back as cheeky catfish dart around you. Take a moment to admire the lush tropical greenery that surrounds you. Pictures are a must in this little paradise! Avenida Kukulkan, CancunÕs own mini ÔLas Vegas Strip.Õ This is definitely the type of Cancun attraction that calls to those party animals out there. This pulsating thoroughfare that connects all of the Ocean Front resorts is lined with restaurants, shops, bars and of course, vibrant, noisy nightclubs. A mix of high-end fashion labels and local boutiques, makes Avenida Kukulkan the perfect place to shop. Pick up some locally made Yucatan crafts for friends at home and then take a walk and marvel at the stunning views of the Nichupte Lagoon. This is the perfect place to grab a bite to eat and do some people watching, before hitting the town and dancing the night away. Boogie till the sun comes up at Coco Bongo, one of the most famous nightclubs in the world. Feel like a VIP as you are served drinks at the open bar before heading back to the dance floor to show-off your best move. Picture a museum completely underwater and the only way to get to this underwater world is by diving to the depths of the ocean. Well, it exists. 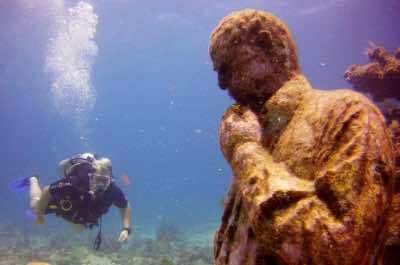 Visit one of the most way-out Cancun attractions, the Cancun Underwater Museum, also known as MUSA. As you plunge into the water you will discover eerie sunken sculptures looming out of the gloom. There are over 400 of them that form part of this underwater Eden offering homes to the tropical fish and marine life. This idea was the brain-child of artist Jason DeCaires Taylor and was well received by the people who lived on the island. New pieces are constantly being added to the collection and it is the only one of its kind in the world. With different options on how to visit this interesting museum you can decide whether you would like to get up close and personal by Scuba diving into the water, snorkelling from above or viewing the sculptures in a relaxed way in a glass bottom boat while enjoying a refreshing drink. A truly unique experience. Catch some waves, the man-made kind. Venture Park is a Cancun attraction you donÕt want to miss! Head for Wet 'n Wild where you can surf the 3 foot swells, zoom down the Twister Waterslide or just take some time out and float down the Lazy River, there is a perfect activity waiting for you! For the thrill seekers, why not try the Kamikaze thrust riders, which is a speed slide with a pretty serious steep drop or the Bubble Space Bowl that will launch you 49 feet at 31 miles per hour! For those wanting to try their driving skills, Grand Prix offers go-karts for a fun ride. Then cross a dolphin encounter off your bucket list by booking this activity separately in advance at Delphinus. Try a dolphin swim, where two friendly dolphins will guide you through the water as you hold on to their dorsal fins or simply play with the dolphins who will show you some great tricks. Teens will love Underworld, a high-tech gaming center with cutting-edge technology. Let them experience the V Revolution and the Star Wars Battle Pod. 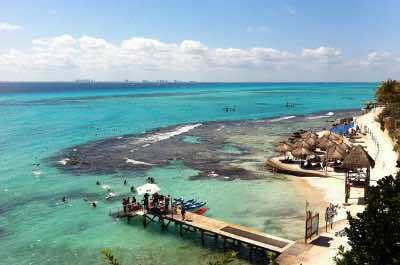 For our next Cancun attraction, we recommend the beautiful Isla Mujeres. Visit this tropical gem, found just off the shores of Cancun, also known as the Island of Women. The island was given this name when the Mayans would lay out offerings in the shape of a women figure on the shore to please the Mayan Goddess of childbirth and medicine. This glorious Cancun attraction is known for its beautiful snorkelling sites around the Manchones Reef and the Cave of Sleeping Sharks. Visit the sea turtle sanctuary on the Isla Mujeres and once you have snorkelled up a storm, head inland to the lively streets for a bite to eat and a little bit of entertainment. Pop into the various stores and stalls that line the streets and offer all sorts of affordable gifts to take home for your loved ones or to simply just spoil yourself! Enjoy a day at a fabulous aquatic theme park, the perfect Cancun attraction for the entire family. Located just south of Cancun, this 8.9 hectare site is filled with natural lagoons and underwater caves that make this the spot perfect for swimming and snorkelling. With so many activities to choose from, you will be busy the entire day! Swim with dolphins, kayak or dive off the Cliff of Courage. Test your balance by trying the Trepachanga, a rope bridge dangling high above the water that is only for the brave. Named after the Mayan archaeological site of Xelha, the Park uses its admission fees to fund its important conservation efforts. Hop onto the cute jungle train to get from one attraction to the other or rent a bike and pedal through the winding trails. Stop for a bite to eat and a refreshing drink before trying the next activity. This world renowned natural park is ideal for all ages. Experience the tropical version of Disneyland! 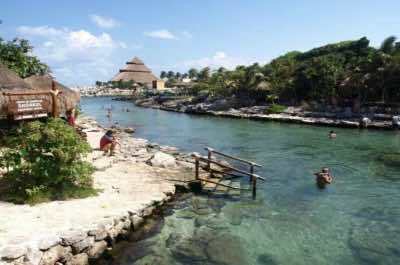 Xcaret is certainly a fantastic natural and cultural Cancun attraction for the whole family. Enjoy the river that runs right through the park, the perfect spot for snorkelling amongst beautiful reefs and swimming with the dolphins. 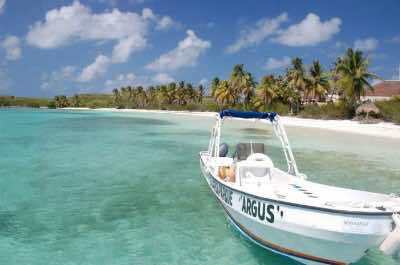 Visit the site of nesting sea turtles, the beautiful Butterfly Pavilion and the Island of Jaguars. This diverse landscape also offers a Bat Cave for the teens or the brave! One thing you cannot miss is a trip up the Torre Escenica, the 260 feet high rotating tower that offers panoramic views of the surrounds. Spot the Gran Tlachco Theatre, the Mayan Ball Game and the St. Francis of Assisi Chapel. This is the highest point in Riveria Maya and provides stunning views. As evening falls, you can watch the amazing Xcaret Mexico Espectacular, a show of light and color with 300 artists that explores the history of Mexico. Enjoy it while eating a traditional meal and sipping some wine from the famous Vino de Mexico Wine Cellar. Head to the heart of the Yucatan jungle and explore Coba Ruins, a fantastic, iconic Cancun attraction. Take one of the tours on offer where you will be able to reach the ruins via bicycle or a fun rickshaw. Head along the windy, bumpy path through the dense Yucatan jungle and be awed as you approach the towering series of pyramids grouped together that are said to have been built as early as the years 500 and 900 AD. Should you feel particularly fit, try climbing to the top of the tallest pyramid, Nohuch Mul that offers the most incredible, breathtaking views of the surrounding jungle and the Astronomical Observatory. 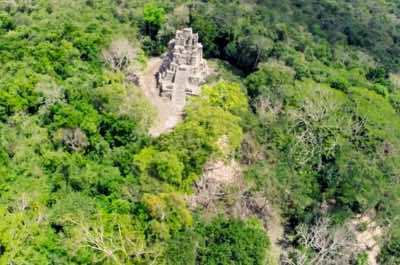 From this height you will also be able to see the MayanÕs roads called sacbeob that lead from the Ruins to other Mayan cities. The tours on offer include a delicious traditional lunch and after your ascent to the top, you will have certainly worked up the appetite. Imagine a theme park, underwater, underground! Xplor Adventure Park is a one of the most unique Cancun attractions that you will ever come across. The amusement park is made up of rides that have been created from the unique environment surrounding it. Activities include a chance to raft and swim through the underground river and rapids. Dripping with stalactites high above you, zoom along the water on an amphibious vehicle discovering secret caverns and jungles. Emerge from under the ground and swop your vehicle for a zipline and fly through the air high above the tropical jungle. With so many activities on offer you will be spoiled for choice. As evening approaches, drift along the river, listening to the sounds of the surrounding jungle and sip a cocktail as the moonlight reflects upon the glistening water. A perfect day outing! Visit one of the most important nature reserves in Mexico. Our next Cancun attraction is perfect for those holiday makers that love nature. This tropical Eden is home to rare endangered birds such as the brown pelican and double-crested cormorant. With more than half of the island covered by Mangrove forest and sandy white pristine beaches, swaying palm trees and the glorious Ixlache Reef just off the shore, it makes the perfect place for nature to thrive. This is certainly one of the world's best venues to snorkel and relax on the quiet shores away from the hustle and bustle of the city. Walk along one of the great trails through the mangroves and spot all sorts of local wildlife peering out from behind gigantic leaves. Take a tour with a guide and learn about the history of these beautiful tropical islands and get to know the interesting fauna and flora that surrounds you. A beautiful day in unspoiled nature, that you will remember for many years to come. If you are a certified diver, the most amazing adventure awaits on your next Can attraction. Nohoch Nah Chich, or the Giant Bird Cage, is a massive cenote and series of underwater caves that is accessible only by diving. These cenotes extend for 5 miles inland making this spot one of the worldÕs 2nd largest underwater cave system. Follow your guide and go down to the platforms near to the water. Your gear will be lowered down to you by special ropes. Get suited up on the platform and then descend into the water and make your way swimming slowly through the astounding white formations of stalactites and stalagmites that decorate each underground cavern in magnificent beauty. The rare, intricate and delicate designs will leave you breathless. Make sure to have an underwater camera to capture this surreal experience. These caves are also used for research and your guide will fill you in on these interesting facts when you come back up to reality. 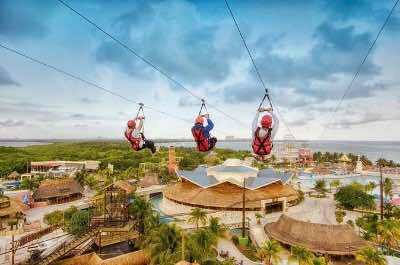 Fancy checking out the best kept secret Cancun attraction that will have you in complete awe? Go for it! 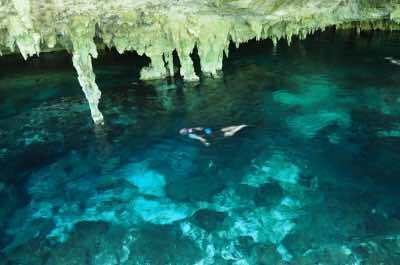 Rio Secreto, also known as the Secret River, was kept hidden from the public up until as recently as 2007. This natural phenomena is made up of a series of glorious caves carved from the flow of the underground river that plummets down into a gigantic half sunken cavern filled with crystal clear turquoise waters and surrounded by towering rocky cliffs. This cave can be accessed by non-professional divers, making it a fabulous day outing for the whole family. Follow your guide and explore the series of gloomy passageways that are said to have made up the Mayan underworld. Swim along the underground river passing gorgeous rock formations and caves complete with stalactites and stalagmites. Keep your underwater camera close by, you might spot some dancing lights on the mineral walls that surround you. Spend a day out of the sun, underground. 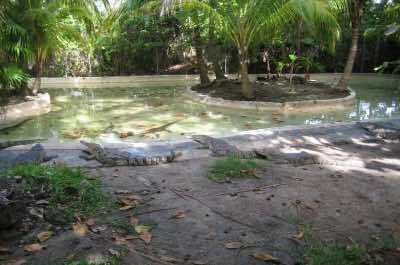 Kantun Chi Ecopark is built around the Riveria Maya jungle and cenotes making this a very popular Cancun attraction. 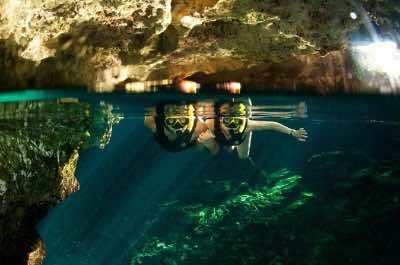 Not only will you explore these famous cenotes but also learn about the MayanÕs history and culture. 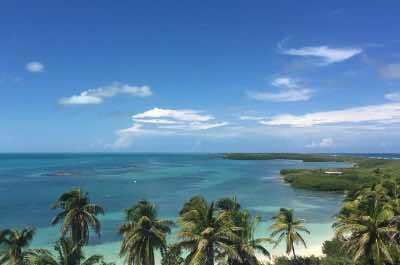 One great thing to do in Cancun is to take a guided tour of Kantun Chi Ecopark to really immerse yourself in the wonders this spectacular place has to offer. Complete with dramatic rock formations plunging into crystal emerald pools below, this eerie place is perfect for a bit of exploration. 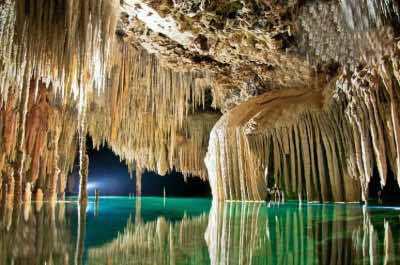 Clamber through a series of cenotes where stalactites and stalagmites cling to the ceiling and walls. 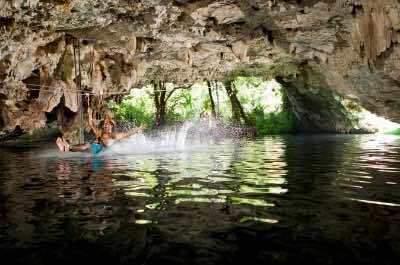 Pass hidden caves and grottos before arriving at a deeper freshwater cenote. Hop into the water and snorkel along the surface or Scuba dive down if you are an experienced diver. Want to venture further a-field? Navigate the channels by kayak exploring every inch of the underground caverns, you never know, you might stumble upon a new discovery! 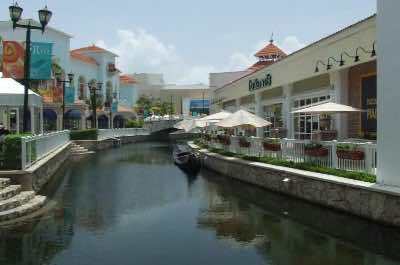 When you have had your fill of underground caverns, visit the Magic Village, Valladolid, a firm favourite Cancun attraction. Lined with spectacular historic buildings, old churches and iconic gastronomy this beautiful Spanish city makes the perfect starting point for a day of exploration. Visit iconic places such as Chichen Itza, Cancun and Rio Lagartos on the outskirts of Valladolid, before exploring the city itself. Spend some time wandering through the architecturally rich streets on a tour or on your own accord. Begin at Parque Fransisco Canto Rosado, the most central point. Head to the Cathedral of San Gervasio, built in the 16th century before walking to the Avenue of the Friars and the San Bernardino de Siena Convent. Would a trip to Cancun be complete without a visit to the lively market place? We think not! Arrive at the market place as the smell of smoked sausages fill the air and tantalise your taste buds. Browse the stalls for crafts and gifts for loved ones back home. Get tingles up your spine when you visit the home of the Mayans in early 900 AD, a fantastic historically rich Cancun attraction. The El Rey Ruins are found not far from the popular Hotel Zone and are made up of 47 structures. The two primary temples are believed to be the remains of buildings that were used for ceremonial religious rituals and the city market place. Named after the ceremonial mask and skull that was discovered on the site as tribute to the Mayan Sun God, the El Rey Ruins are constantly being excavated and further discoveries are being made. What makes this historical site a little more special are the hundreds of lazy iguanas that have taken up residence here. Visitors enjoy taking pictures of these prehistoric creatures relaxing in the sun on a warm day. You may even see a park guide feeding these lazy characters with crunchy, fresh, tortillas! If you are an adrenaline seeker, spend a day exploring the longest underground river network in the world at our next Cancun attraction, the Sac Actun Cenote System. This amazing place entices thrill seekers from all over the world. Located in the Tulum jungle, the entrance to the cavern is found after a short descent into the river below via an ancient wooden ladder. Set off through the channels that are littered with animal fossils, giving it the nickname of the Pet Cemetery. Discover majestic waterfalls, eerie caverns filled with stalactites as you swim through the cool fresh water streams. Keep your snorkelling gear close to explore the deeper pools with incredible rock formations below you. 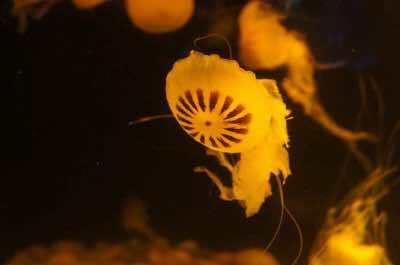 The waters are filled with exotic marine creatures that live in these dark caves. If this sounds right up your alley, why not join one of the great tours where a knowledgeable guide will give you all the insight into this awe-inspiring attraction. Lovers of ancient ruins will never run out of Cancun attractions. The next venue to explore is the amazing Ek Balam Ruins, one of the largest Mayan ruins in Mexico. These ruins date as far back as 1200BC and are located 100 miles from Chichen Itza. Go along with a local guide and learn about the fascinating history. The Ruins are not as crowded as some of the others, making this a really special experience. 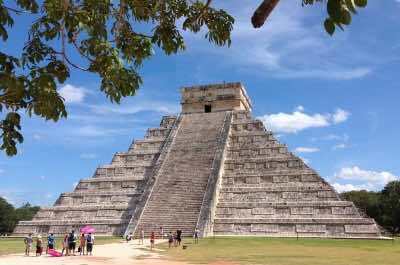 See the main focal point, the 96 foot high Acropolis, which served as the temple for the ancient Mayan village. A large monster at the entrance to the pyramid stands guard to the underworld. If you are fit, climb to the top of for fabulous views of the surrounding jungle and understand how this hidden away village lay undiscovered for centuries. The motifs of animals on many of the walls give the Ruins their name, Black Jaguar, adding to the mystique of this spine-tingling attraction. 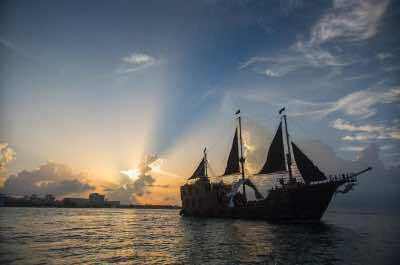 Delight the kids and set sail on a real Pirate Ship, the Jolly Roger, our next not-to-be-missed Cancun attraction. 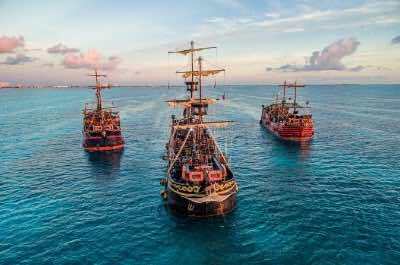 Leave from the Riviera Maya and head to the open Caribbean seas with flags flying and Pirates walking the decks. The ship is a true replica of the Santa Maria, the ship Columbus travelled on when he discovered the Americas. Entertainment in the form of a dazzling three and half hour long show filled with comedy and adventure, dancing, noisy exploding cannons, breath-taking sword fighting and amazing acrobatics that will thrill kids and adults. Halfway through you can catch your breath and dine on delectable filet mignon, grilled lobster tail or a vegetarian option. Choose something for the kids from the special kiddies pirate menu. Then the fun and splendour begins again with feats by the most talented pirates you will ever find. The show finishes with a magnificent fireworks display, the perfect end to this unforgettable experience. With space for 240 passengers, this a fabulous family party that cannot be missed. Be part of a real-life attack on a Pirate ship! Take the kids along for an amazing experience on the Captain Hook Pirate Ship, our next recommended Cancun attraction. Step aboard the El Galleon and be welcomed by Captain Hook's men dressed in Pirate gear and brandishing swords. The ship is 93 feet long and is a true replica of an 18th century Spanish galleon. The cannons fire and you are off to the high seas! Listen to Pirate tales as you enjoy a scrumptious meal and drinks from the open bar. While eating you may forget that this is a Pirate Ship until you suddenly realize that you are under attack from the water. An epic battle takes place between the enemy boat and your vessel that will leave you thinking you are dreaming it all. But don't worry, Captain Hook and his crew always win and you can return to sipping your exotic cocktail and stop shaking as you sail back into the harbor. Taking part in a stunning colorful Mexican celebration is a fabulous Cancun attraction. 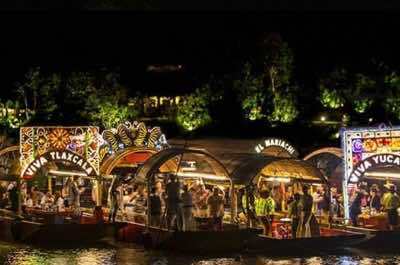 Sail in a trajineras, a beautifully decorated water boat along the canals for the most festive and authentic fiesta in the world. Xoximilco celebrates the floating gardens and canals of Mexico CityÕs famous neighborhood Xochimilco. The name means 'Field of Flowers' and the party is filled with floating gardens, live music serenades, dance, vibrant costumes and fabulous food. Enjoy a wild night of Tequila and fun as you become part of this amazing tradition. Be awed by mystical ancient legends as you sail along and soak up the culture. Each trajinera has a different name based on the many states in Mexico. They are decorated with flowers, vibrant colors and lights. Take your family, girl friend or group of friends, the party caters for everyone. When the evening ends, all the boats meet in one place and the party continues until the sun rises. Calling all serious open-water divers! Exploring a remarkable underwater system of caves makes this Cancun attraction an unmissable experience. 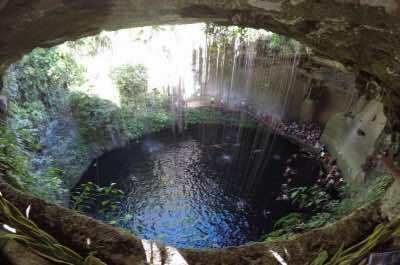 The Cenotes Dos Ojos is over 7000 years old and was known as a sacred well to the Mayans. Get your Scuba diving equipment and explore the depths. There are 300 miles of water ways that take you deep underground through the most magnificent tunnels and caverns filled with rock formations, stalactites and stalagmites. Beautiful colors, awe-inspiring scenes and marine life make this one of the most unique dive sites on the planet. Your guide will teach you about the ecosystems that exist here and the history and legends of the caves. Learn how Dos Ojos Cenote looks like a pair of eyes on the water, hence the name! If you are not a certified diver, you won't miss out, you can snorkel on the surface and still appreciate the full beauty of this natural wonder. Get away from the main tourist attractions and head for a lesser-known Cancun attraction, the Muyil Ruins. This venue will delight explorers and those who want to get closer to the real 'hidden' Mexico. 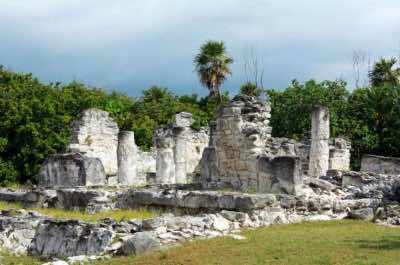 The Ruins are located along the banks of a lagoon on the edge of the Sian Ka'an biosphere reserve. They are reached by a hike Ð so you need to be fit. 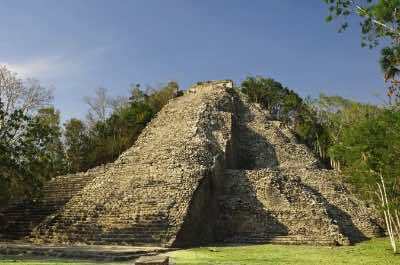 As you approach, you will be awed by the 55 foot high El Castillo, towering up in steps of grey rocks into the blue skies. There is an observation tower that you can ascend to see stunning views of the lagoon and the surrounding landscapes. This ancient settlement dates as far back as 300 BC. Explore the SacbŽ, a 15 foot wide ancient road and then be amazed at the stuccos at the Pink Palace. After your climbing, relax and enjoy a boat ride around the lagoon. Nature lovers will never be short of Cancun attractions to explore. 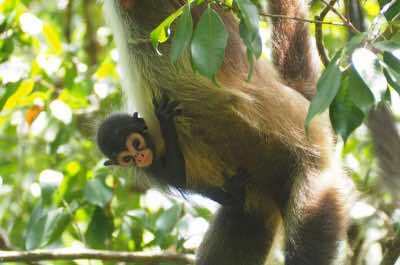 The Punta Laguna Nature Reserve is a 5000 hectare region that is home to some really exotic creatures like howler monkeys, crocodiles, pumas and spider monkeys. There are over 600 species of spiders and a large variety of tropical birds. Take your lists and tick it off as you spot them! Also look out for white-tailed deer. In the center of the Reserve is a beautiful lake that covers 90 hectares. You can explore the waters on a canoe, a kayak and then venture into the jungle on a hike. Ziplining is an option to see this impressive region from high up with the monkeys! If you enjoy caves, there are many to explore and rappelling down with ropes will be an amazing adventure. Then take a stroll through a traditional Mayan Village and learn all about the culture and history. Then settle down in a thatched hut and enjoy some local cuisine. Get ready for another fun-filled family day at our next Cancun attraction, Garrafon Natural Reef Park. Head out to Isla Mujeres and admire the scenery of rugged cliffs rising up from the crystal clear blue waters. When you arrive at the Park, there are over 20 different activities for the whole family to enjoy. Start with the land-based adventures and glide through the air attached to a zipline. You will jump from platform to platform and feel like Tarzan in your own private jungle. 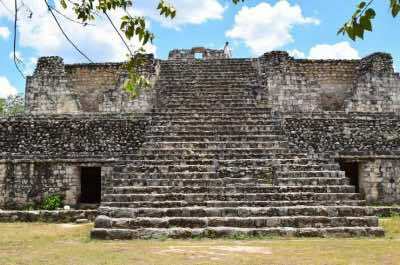 Then take a bike ride to explore some ancient Mayan Temples. Relax on the beach in a hammock and sip a refreshing cocktail and then head for the water. You can snorkel, kayak, canoe and fulfil a life-dream of swimming with the dolphins. As evening approaches, pamper yourself in a bubbling hot jacuzzi where you will have personal attention from the staff. Finish the day with a seafood dinner feast from the VIP-only international buffet. Sushi, prawns, salmon and shrimp have never tasted better! If you are missing your dose of retail therapy, our next Cancun attraction will sort that out in no time! 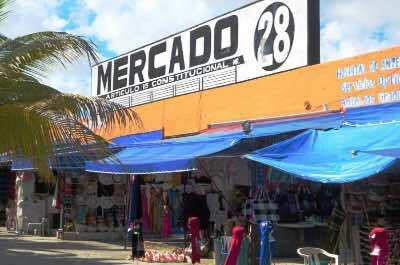 Set off to downtown Cancun to Mercado 28, a fabulous open-air market that is bursting with authentic, colorful Mexican hand-made crafts. You will find clothing and jewelry, fabrics and sombrero's. There are also ATM's to get hold of cash as most stalls won't take credit cards. Get ready for some heavy bargaining, the vendors are quite pushy but it is part of the fun. Get a temporary henna tattoo on your arm that you can remove before going home and get your hair braided and decorated with colorful beads. When you get tired, stop at the Restaurant El Ceja which offers Caribbean seafood specialities at very good prices. A fun day outing for the family. Learn all about aquatic sea life and get hands on at the awesome Cancun attraction, the Cancun Interactive Aquarium. This modern and cutting-edge exhibition offers over 1000 marine species in an interactive environment. Admire the colorful fish in the massive tanks and touch and feed the stingrays, starfish, sea cucumbers and echinoderms. Then get into the water on the Delphinus Trek. This family activity is ideal for all ages and you do not need to know how to swim. Put on the helmet that allows you to breathe freely and descend with a guide to walk or swim with the marine creatures. It is easy and feels a bit like walking on the moon and your hair won't even get wet! When you come out, head for the auditorium where fascinating movies will teach you all about the underwater world. If you want to live a life-dream of swimming with dolphins, this is the venue to do it. Play and interact with the Bottlenose dolphins and make sure you have your camera ready. After your marine interactive experience, head inland for a wildlife interactive experience at the Croco Cun Zoo, our next fabulous Cancun attraction. Designed to inspire passion for nature and wildlife, this interactive 75 minute guided tour is ideal for the whole family. You will get to touch, feed and hold all types of local creatures and you can even walk amongst the crocodiles if you are brave enough! Pick up a Boa snake and pet wild dogs. Feed the beautiful white tail deer and spot the tropical parrots and huge centipedes. The Zoo is located close to Puerto Morelos, a peaceful village on the Mayan Riviera, offering a true Yucatan experience away from the noise of the city. After getting up close and personal with the animals, you can choose to go diving, explore the jungle on a hike or take a relaxed bike ride or a moped to travel around this beautiful region. Historians will be thrilled to visit the Maya Museum, Museo Maya. This exhibition is one of Yucat‡n's most important collections of Maya artifacts. Set in a modern air-conditioned venue on the southern end of the Hotel Zone, and beautifully displayed are over 400 rare pieces that were found at various sites around the peninsula over a period of 30 years. See sculptures, ceramics, pottery and jewelry. The museum offers 3 exhibition halls covering over 4000 square feet. Two are permanent and one is a temporary venue for national and international exhibitions. Many of the signs and information is in Spanish, so have your electronic translator close by. 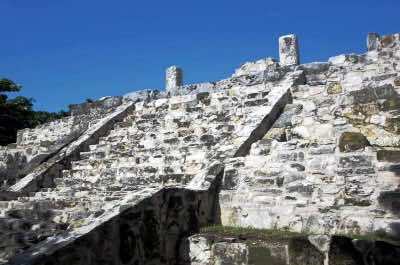 You will learn endless facts about the Mayan culture and history. Then stroll outside where there are many stunning ancient ruins and a pyramid that you get to by walking down a path filled with lush green vegetation. 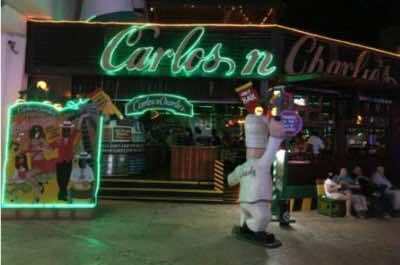 This is a not-to-be-missed Cancun attraction that makes a great day outing for the whole family. For a day of shopping, eating and relaxing, the Plaza Cancun is our next suggested Cancun attraction for the family, a romantic couple or a group of friends. It offers open areas for sitting and people watching, waterways and brand name stores all in one central location. Learn about marine life at the Interactive Aquarium. Swim with dolphins or sharks if you are brave enough and then enjoy a boat ride. When you get hungry, eat at world class restaurants and enjoy a classic coffee at Starbucks. Buy a little black number at Zara and something for the kids to wear at Benetton. This center is the holder of a ICSC award and is the most visited commercial spot in the Hotel Zone. It makes a great day outing if you want to escape the sun for a while. If you want to stay right here, the Plaza offers luxurious condo apartments with state-of-the-art facilities and astounding views over the coastline. When you have had enough sea, sun and sand, plan to stay indoors and visit a fascinating Cancun attraction, the Cancun Wax Museum. Located in the main Hotel Zone, it is easy to access. You can take a walk around and enjoy the very friendly and helpful service that you will receive from the staff. See amazing life-like figures that focus on world leaders, sports icons, film stars and more. Say hello to the Queen, Albert Einstein, Elvis and the Beatles. Kids will love the Avengers and Dad will enjoy the famous racing drivers. Visit the Star Wars exhibit and the ET exhibit. There is a section for the brave with horror movie characters that may not be ideal for smaller kids, so check first before letting them rush into this room! You are allowed to take photos anywhere in the Museum and you can also have photos taken standing right up close to your favorite wax person! Learn all about the art of making the iconic Mexican drink Ð Tequila! Head to the Museo Sensorial del Tequila in the Hotel Zone and spend a fascinating afternoon learning about the history and legacy of Hacienda San JosŽ del Refugio in Amatit‡n, Jalisco, home of the finest tequila in the world. Sample the different types of Tequila, blanco, reposado, anejo and extra anejo, meaning white, rested, aged and extra aged. Each one offers an exquisite and unique flavor and aroma. Learn about the age-old process of making this iconic drink that has been passed from generation to generation. The tour takes about an hour and is ideal for groups. You can then shop and buy a few bottles to take back home. Also on offer are delicious local cheeses and cured meats, perfect for a picnic at the beach after you leave this Cancun attraction. If you are looking for an ocean adventure, visit the fabulous Parque de los Sue–os, an amazing Cancun attraction for the whole family. Explore a wonderful water world, there are two sparkling blue swimming pools, a deck that you can relax on and sip a cocktail. Then jump into the ocean with your snorkel gear and discover the stunning array of colorful marine life, corals and sponges below the surface. Take a ride on a kayak or canoe and try your skills at paddle boarding. All equipment is provided as well as guides to make sure you are safe at all times. For adventure lovers, you can try out the huge water slides, the high climbing walls, a rope swing and the thrilling SkyWave. Get attached to the Mayan Splashdown Zipline and head from a dizzy height into the water. For adults only, try the crystal clear pool with a swim-up bar where you can show off your designer sunglasses while sipping a mojito or a margarita. This incredible Cancun attraction will allow you to fulfil a life-dream! Cross off an item on your bucket list by swimming with Dolphins, Manatees and Sea Lions. Head to Dolphin Discovery, located on Isla Mujeres, surrounded by pristine white sandy shores and gently swaying palm trees. Relax in the Dolphin VIP Lounge overlooking picturesque views of the Caribbean Ocean. Then get up close and personal with the dolphins in their natural habitat. Choose your adventure from an extensive range on offer. Experience a royal dolphin swim, play with the dolphins, kiss and cuddle. Stay close to the shore where it is shallow or go deeper and swim with a special mate. Take part in a feeding session and let the dolphins impress you with their speed and power as they show you a few tricks they have up their flippers. This is the perfect family bonding experience that will create memories to last a lifetime.